Cardiff is the largest city of Wales and located within the traditional county of Glamorgan. The city of Cardiff in Wales began with the Roman invasion in 43 AD. A fort was built and thus began the history of Cardiff. The town of Cardiff traces its history to the time when the Normans captured Glamorgan. The Middle Ages saw a small castle garrison grow into a town. Cardiff in Wales was a busy port from those times. It was used extensively for coal exports and was the biggest coal-exporting port in the world. When the railways reached Cardiff in 1841, it gave additional impetus for the city's growth. 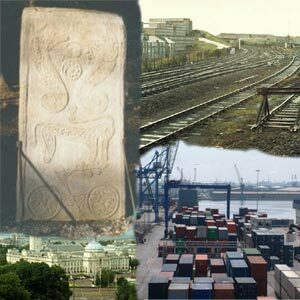 The shipbuilding and rope making, brewing and paper making industries flourished in this city of Wales. The University of South Wales was founded in 1893. In 1905, Cardiff was granted city status and subsequently a new City Hall was opened. Cardiff in Wales saw considerable damage during the Second World War. Around 1955, Cardiff was proclaimed the capital of Wales. The manufacturing industries saw a gradual decline in the second half of the 20th century. Cardiff, the capital of Wales has now grown into a dynamic city bustling with activity. It has been revived as a popular centre of arts, entertainment and nightlife. The Cardiff Barrage is largely responsible for its growth. With the opening of several shopping centers such as St Davids and Queens West Shopping Centre and Capitol Shopping Centre, the city has taken on a new dimension. Shopping, leisure and tourism industries are flourishing. This busy University City located on the banks of the River Taff has an exciting nightlife too.